Onsite Nursing Care Inc has been a trusted and a community choice Nurse Staffing & Home Care Agency serving the metropolitan areas of Virginia, Maryland and the District of Columbia since 1990. Our competent and highly experienced nursing professionals are trained to provide care that preserves patient dignity while helping achieve the highest degree of recovery, comfort and independence. Our main goal is to improve the quality of our clients’ lives by providing the highest quality of customized health care services designed to meet individual needs. We meet our daily goals by employing professional and compassionate staff who deliver in-home care and companionship services that will help you and your loved ones live a happier, healthier and more independent life style. the highest professional and ethical standards possible. 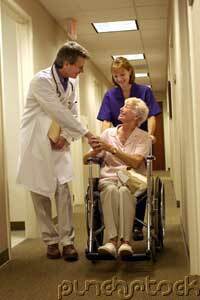 We ensure that each patient needs are evaluated and a personalized plan of care is developed. needed to care for our patients. Onsite Nursing Care’s vision is being the agency of choice for patients and referral sources, and being the leader in the development of innovative and comprehensive breadth of services that address the changing needs of our patient population. Onsite Nursing Care is to be recognized as a valued community resource with strong affiliations and the employer of choice with the highest quality of staff.